Belize Luxury stay. Come be at home . Very well funished T-3 apartment apartment in the town of Lagos. Very well furnished T-3 apartment in the town of Lagos. 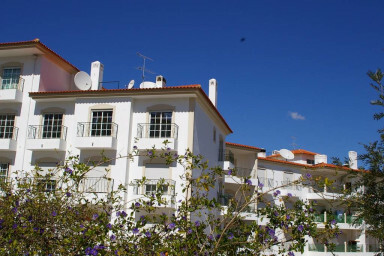 This apartment is on the 2nd floor (access by elevator) in an area called Cerro do Convento, which is just outside the city walls. A very popular Residential area with plenty of shops like Lidl and Pingo Doce. Also many Bars and Restaurants all at walking distance. Approximately 10-15 minutes to the centre by foot. Entering the Apartment you will find the central hall which gives access to the lounge and the kitchen and the 3 Bedrooms. The master bedroom is en-suite and has a queen-size bed.. The 2nd bedroom has two single beds and the third one is a combined study/bedroom with a bed sofa and next to it you have another bathroom. The kitchen is well equipped and has a breakfast/dining table sitting 5/6 persons. The main terrace is off the lounge and kitchen. Of the kitchen is another small terrace with B.B.Q. Besides the 127m2 of living area, there is 14m2 of terrace space. You will get a full service of the ROBAN ReAct Ldª the company managing the Apartment and their office is based in the same block. Television with Sat. Receiver and many foreign channels. Belize is a spacious 3 bedroom appartment with two bathrooms. It has a nice kichen where you can prepare and enjoy your meals. The appartment is on the second floor and has an elevator. The nice centre of town and beautifull beaches as well as a whole scala of restaurants are at walking distance. We had a wonderfull time here !